Oh, we are sorry! There is no description of P2PB2B.io, yet! All P2PB2B.io reviews are manually approved and verified. Horrible exchange, all they do is really wash trading to fake volume. It is undoubtedly onne of the leading exchange! Not recomended trading, because fake volume. No P2PB2B.io questions were found. Please submit your first question. Do you want help with P2PB2B.io? 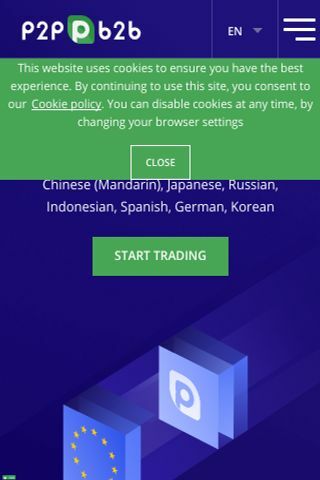 Any problem with P2PB2B.io review? More Cryptocurrency Exchanges Looking for alternative to P2PB2B.io ?